There was a time when American cinema and Hollywood meant something. 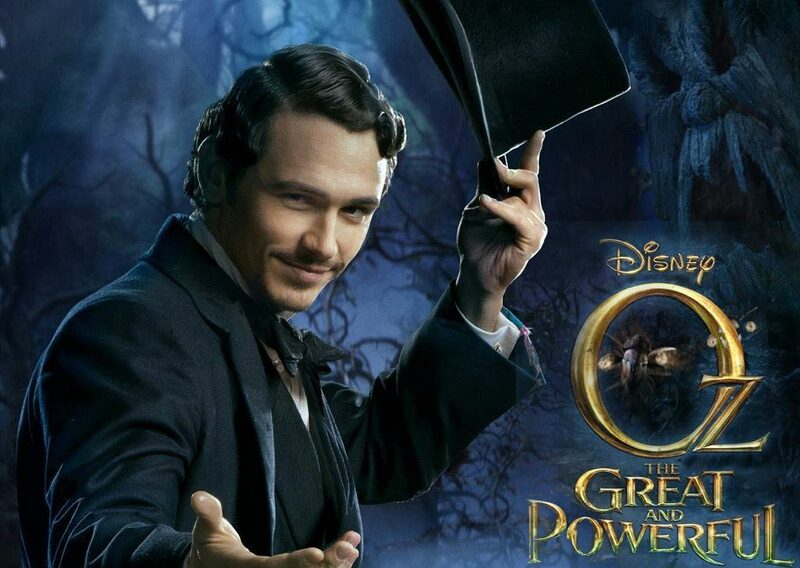 That time is long gone and empty films like OZ: THE GREAT AND POWERFUL are the hard proof. These types of films have, sadly, become the norm. They also, as it turns out, show us yet another example of how when James Franco is cast in films where he is given nothing to do — no real script, nothing of substance to latch on to — he simply cannot fake it. Like his bored and boring performance in RISE OF THE PLANET OF THE APES (read my post on that film HERE). Compare these to the recent SPRING BREAKERS which, like the film or not, shows Franco actually giving a performance. He’s capable of it. But offer him a role in a Hollywood film and he accurately reflects the project’s entirely insipid nature. In many ways, he’s our best barometer for showcasing just how empty Hollywood has become. More and more of my friends and acquaintances are confessing to no longer being able to conjure the desire to go to the cinema any more; it’s no longer a satisfying experience for so many of us. In fact, it has become, on far too many occasions, a downright depressing experience. Not handing over your hard-earned cash to see these grand and elaborate wastes of time is one of the most powerful statements you can make in opposition to this spiraling trend. Every time you pay to see a film like OZ: THE GREAT AND POWERFUL, you support the creation of more just like it. Which you may be fine with if you like this sort of fare and are enjoying America’s current fling with all things dimensionless. In conversing the other day with a screenwriting friend who has been taking pitch meetings around town, it seems things have gotten even worse than when I was taking those exact same meetings years ago. Conversations about character no longer have a place; they are fleeting asides to conversations about how many digital teeth a monster might have or how many tentacles. The “people” in the story have become nothing more than catalysts for effects. It used to be the other way around. Is it that I’ve just become an old man complaining about how much better things were “back in my day?” Perhaps, but I don’t believe that’s truly the issue at hand. It seems to me the Hollywood film industry has fallen victim to the same raging disease that has swept this entire country into a catatonic inability to accomplish almost anything of value. We have fallen behind the rest of the world in so many areas where we once lead the way. The Daily Kos recent comparison of TIME magazine covers in America and abroad is the perfect highlight of our cultural infancy; we are still children in this relatively new country of ours. But it seems the freedoms that once invigorated our countrymen and fed our desire to explore and express ourselves, to stand out and carve new paths, has given way to a capitalist agenda that speaks to the weakest, least developed parts of our psyches. It has literally divided our country. Hopefully, it’s all just a phase, the one step backwards before the two steps forward. Certainly, future historians are going to have a field day with us. Unless, of course, this one step backwards leads to a complete tumble down the stairwell for the entire human race. I’ve mentioned this little anecdote before, but it bears mentioning yet again here: not too long ago I took a meeting with a producer who had recently produced a major Hollywood action/thriller. It was a film I actively did not like and had been shocked by the sheer lack of logic and basic storytelling qualities inherent in the film. When asked about this, the producer confessed to me that everyone involved with the film was fully aware that the script had no inner logic and oftentimes blatantly broke the rules of the world it had set up. His justification for such blatant storytelling disregard was that they had shown a cut of the film to a test audience and the audience didn’t seem to notice any of these things, so the filmmakers decided that it simply “didn’t matter.” And maybe they were right. Have we bred and raised new generations of Americans for whom the dollar sign is the be-all and end-all of our journey here on earth? Are we systematically eliminating our desire to connect with one another in meaningful and revealing ways? History shows us that storytelling has always been a profound and integral part of the human experience. So what does it say when our most beloved storytellers no longer know how to tell stories? Or even care? 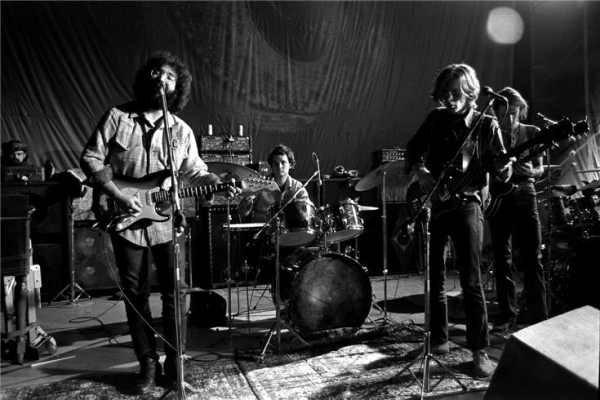 The Grateful Dead at the Family Dog at the Great Highway August 3, 1969 in San Francisco. An incredible night in its entirety, but this 23 minute Dark Star with violin and saxophone accompaniment by David LaFlamme and Charles Lloyd respectively carries us across entirely new landscapes and over unimaginable peaks. It is a breathtaking auditory odyssey.